Lemon, a common ingredient of your kitchen, not only add flavor your delicious recipes, but also has a lot of health and beauty benefits. Lemon is a rich source of Vitamin C and B, carbohydrates and phosphorus. So, naturally, when consumed they would provide us with those much-needed nutrients. However, lemon, when applied to skin in different ways would also provide different beauty benefits to skin and hair. Lemon juice is brilliant for skin, and helps exfoliating the dead skin, removing pigmentation, along with other benefits. Let’s take a look at these beauty benefits of lemon in detail. Skin cells requires water in order to keep their metabolism running. The exposure to environment, be it air or sun, however, tends to steal away that precious water. Our skin not only needs a replenishing source of water, but also a mechanism to keep the moisture levels intact. Lemon works as a natural moisturizer. There are several ways to use the lemon for moisturization. Mix lemon in coconut water. Together the both of them works wonder to your skin, hydrate it and makes it clear and bright. Mix lemon in milk or milk cream. Apply the mixture on the drier areas of your skin. Leave it on for about 15 minutes. Rinse it off with water. Mix lemon juice in yogurt and any essential oils likechamomileor lavender. The mixture can be used to massage skin areas. It will not only moisturize skin but also remove any bacteria or dirt. Hyperpigmentation, whether it is a dark spot, age spot, or freckle, can be super annoying and eclipse your beautiful skin. However, all is not lost. There are several natural ways to get rid of hyperpigmentation, including lemon. Lemon contains citric acid which acts as natural bleaching agent and clarifies your skin. Simply squeeze a lemon for its juice, and apply the lemon juice on the affected areas. You would begin to notice the difference in a few days. Apart from citric acid lemon also contains vitamin C, which acts as a natural antioxidant. It detoxifies your body by removing free-radicals and boosts collagen production that strengthen your skin, and removes pigmentation, tanning, dark spots or freckles. Tip: You can also use lemons to treat your knees and elbows hyperpigmentation. Simply rub the lemon on the darker knee and elbow areas and let the juice work it’s bleaching magic on the skin. Did you know lemon were useful in those dreadful acne too? Simply squeeze a lemon for its juice, dilute it in water, and apply on the affected skin areas with a cotton swab. Leave the solution on your skin for 15 minutes. Afterwards, wash with clean water. Repeat the process daily. The antibacterial action of lemon would help you get rid of acne and pimples. You can also consume lemon drink for similar results. Mix 3 tablespoon of lemon juice in a glass of lukewarm water and drink it every day to keep your system clean and detoxified. This would help you get a radiant skin free of acne. Tip: For added tasted you may mix some honey to the drink. As we have already discussed, citric acid in lemon juice has natural bleaching action. You can make use of it to lighten the color of your skin. Mix lemon juice and water in the ratio of 2:3. Apply the mixture on your skin, especially face and neck. Let the solution stay on your skin for about 30 minutes. Afterwards wash it with cool water. Do it every day and watch the color of your skin lighten within weeks. Add honey to the solution for faster results and lesser irritation. Lemon juice is also an excellent blackhead extractor. Simply apply the diluted lemon juice on the blackhead affected areas of skin, and massage gently. Within a few days, the blackhead would disappear. Tip: You may also rub the lemon rind on the affected areas as a scrub. However, be gentle to avoid irritation. I’m sure you’ve seen those TV advertisements where a toothpaste claims to contain lemon. In fact, you can use lemon to whiten your teeth naturally. Mix a pinch of baking soda in lemon juice and massage your teeth and gums with it for whiter teeth. Lemon acts as a natural exfoliant by peeling and removing dead skin cells. Make a solution of lemon juice, sugar and water. Rub it on your skin to exfoliate. Tip: You can make a foot scrub for exfoliating feet skin by combining lemon peels, coarse sea salt and essential oil like peppermint. You can use diluted lemon juice to cleanse your skin of excess oil and dirt, and get a clean rejuvenated skin. Tip: Mix lemon juice in water, witch hazel and vodka. This works as even more efficient toner for your skin. Lemon also helps in treating dull dry and brittle nails. All you have to do is mix olive oil and lemon, and soak your nails in the solution. Apart from getting stronger nails, it also helps in whitening the yellowness of the nails. Canker sores in mouth can be quite annoying and take 7-10 days to heal on their own. Lemon can be used in treating canker sores. Simply mix a pinch of baking soda in lemon juice and apply the mixture to the sores. Caution: It will sting a bit in the beginning, but should be alright in an hour or so. You can exfoliate your dry chapped lips by applying lemon juice on them at night time. Leave it overnight and wash in the morning. Lemon also helps in delaying the effects of ageing on your skin by preventing wrinkles and fine lines around the eyes. 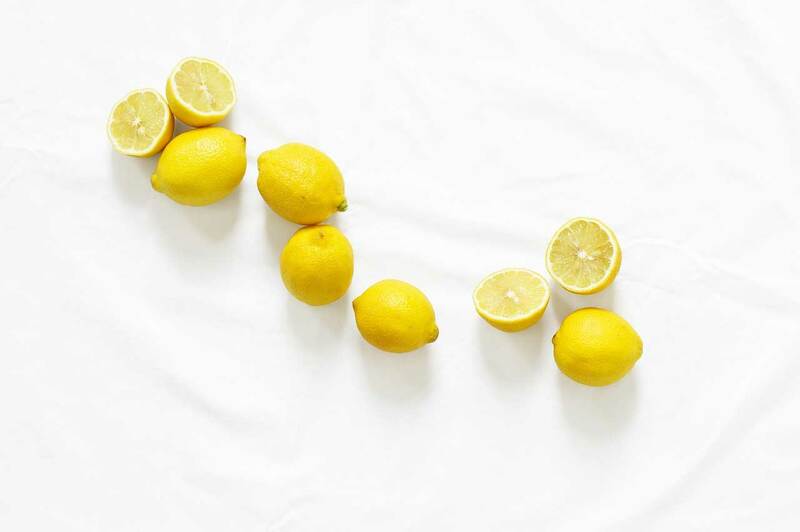 Tip: Mix lemon juice and honey in equal parts along with a few drops of Almond oil. Use the mixture as a face mask. Not only does lemon juice act as a good exfoliant for skin, it also helps in removing the dead scalp and dandruff from your head. You can mix lemon juice, honey and olive oil in coconut oil. Use the solution on your hair and scalp to get rid of dandruff and dry scalp. Stretch marks can be really unpleasant and act as a major cosmetic concern needing your attention. But, worry not. Lemon has got your back. The exfoliating action of lemon juice helps in removing off the dead skin cells, and thus promoting new skin cell formation. Also, the Vitamin C in lemon helps keeping the skin healthy. Massage the affected areas with lemon juice for about 5 mins in a circular motion. Leave the juice to dry, then, rinse off with warm water. Repeat this 1-2 times daily. Never use lemon if you’re allergic to it. In case of skin irritation, dryness, or redness, you must either dilute the lemon juice before using or stop using it. You must never go out in the sun, or expose your skin to sunlight while lemon is applied to it in any form. Never apply lemon juice on wounds, bruises or open cuts as the citric acid in lemon juice would irritate the wound and sting really bad. Avoid using lemon use around the eyes or on the eyelids as it will sting your eyes. Never keep the lemon on your skin for long periods as it can do more harm than good. Consult a doctor in case of a problem related to lemon use. Now, it’s not necessary that to reap the beauty benefits of lemon you always have to use it topically. You can also mix a few drops of lemon in water, and drink it daily for beauty benefits of lemon from within your system apart from other health benefits like weight loss and detoxification.